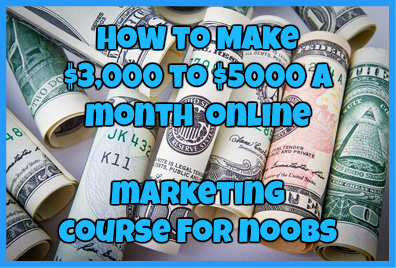 There are millions of ways that you can make real money online free today. 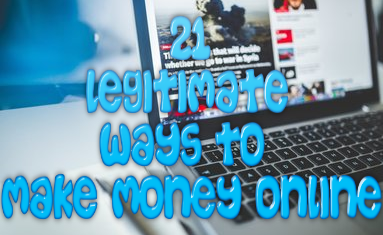 There are avenues such as using affiliate programs, freelancing, online gambling and even playing video games for a living that can help you earn a decent amount of money online. However, working with an affiliate program or completing online surveys is simply not for everybody and many people would prefer to do some traditional work with the exception that they can complete the work from the comfort of their own home. A job from home that could be perfect for many people is Transcription. So, how exactly do you make money online with transcription work? Read on to find out. Transcription or transcription jobs that you may find available online is simply taking words that have been spoken via a video or recorded session and typing them out on a computer to have a printed format right in front of your. There are different types of transcription out there and each type has their own different level of skill that they require. 1. General Transcription Work-with this kind of job you pretty much will take any kind of recording you are given and simply type it out on a computer, regardless of the type of content you are listening to. This kind of transcription work can have many different types of audio whether it is audio from an answering machine, recorded audio from an important conference, college lectures or even important television interviews. With this kind of transcription work there is no need for you to worry that you will need to have any specialized skills in order to complete the job. The only thing that you will need is to make sure that you have enough experience to get the job done in the first place. 2. Legal Transcription-with this kind of work you are literally specializing in one given area of general transcription altogether. In this case you will be focusing on legal recordings. While in this particular line of work you do not necessarily have to have any specialized training in order to complete a job, it is something that I highly recommend you get anyway. Why do I recommend this? Well, honestly it just couldn’t hurt and it will help you to stand out above the competition. 3. Medical Transcription-this is perhaps one of the most common types of transcription work that most people have ever heard of and it is also one of the most in-demand transcription jobs that you will ever come across. If you choose to go down this path know that you will have to go through multiple and endless hours of audio straight from doctors, surgeons and nurses and will need to be precise when you put these words down in a printed form. For this particular field I highly recommend getting some additional training, especially in medical terminology as there will be a bunch of medical jargon that you will need to know how to spell correctly every time. Without this kind of additional training I see this line of work becoming difficult for those who are not prepared for it. 4. Basic Data Entry-if you have ever gotten the chance to scour a few freelancing sites, you have probably come across so many data entry jobs that you seem to apply for those more than any other field of work. Data entry is considered to be one of the simplest forms of transcription work available today and it is one that really does not require too much skill in order to do correctly. This is the kind of job that I recommend to those who are just starting out in the online working world and need to gain some simple experience first. While these types of jobs don’t really pay all that great, it will give you the experience that you need in order to land harder and top paying jobs in the future. Now that you know what transcription is, what equipment you need to be successful in this field, what kind of programs you will need to help make your daily workflow much more efficient and some of the common terminology that is used, it is time to start looking for work. There are many places where you can begin looking for work online and the best part about them all is that a majority of the places are free to join. In this lesson we will be focusing on freelancing sites and how they can aid you to land high paying jobs in the future. Out of any freelancing website that you will find online there are two that are the best to sign up with. The very first freelancing website that I want to talk about is oDesk.com. oDesk has been around since 2003 and was started by two people looking to bring more work to people who needed it. Sign Up-again this is absolutely free to do and you can choose to begin working in the area of your choice. Set up your Profile-this is one of the most important steps that you will have to follow as this is the place where many potential employers will look for a little information about yourself. This is where you will want to add relevant portfolio samples, give a short bio about yourself and most importantly set your hourly rate. Remember, you will want to make your profile as eye-popping as possible and to showcase your past work. Take some tests to show off your skills-there are a variety of tests given through oDesk that are free to take and that can show potential employers exactly where your skills lie. Some of the tests that are offered range from beginner level skills to more advanced skills tests. Begin applying for jobs-as a general rule oDesk will give you a certain amount of “applications” to use to find jobs for the week. For example the most common number I have seen is 25, which means that you can apply for 25 different jobs and your chances for being hired for all of them will depend on your profile and any feedback you have received from past clients. oDesk.com is one of the freelancing sites that I highly recommend as many people have been able to find great paying jobs on this platform since 2003. Since it is free to join I see no harm in setting up your own account with them. Elance.com is another great freelancing site and it is one that I have used in the past to find jobs personally. This is another freelancing site that is absolutely free to use and free to sign up with. There are many reputable clients on this platform that are looking for the right Transcriber to help them with their projects and it is a place where you will find an endless amount of work. Just as with oDesk.com there are a few steps you need to follow in order to begin working as soon as today and in order to find the best paying Transcription jobs available today. Sign up for your free account-again, as with most freelancing websites this is absolutely free to do and only takes a couple of minutes. Setup your Personal Profile-this is the perfect opportunity to really wow your potential clients. Make sure that you add a great picture of yourself, an eye-popping bio and enough portfolio samples that really showcase your work. Confirm your identity-this is one feature that oDesk.com does not offer and this is one that should be utilized by freelancers everywhere. When you confirm who you are, Elance will show its clients that you are exactly who you say you are which can garner trust between you and a client. Take a skills test-in order for clients to take you seriously, you will need to show them what you can do. This is where taking a skills test can come in handy. You can take a transcription skills test via Elance and show your potential clients what skills you have to offer. Begin applying to jobs-very similar to oDesk, you will be given a few applications to use to start applying for as many Transcription jobs as you possibly can. The number of jobs that you will find on this website seem virtually endless and I have no doubt in my mind that you will be able to find a great paying job as soon as today. Just as with oDesk, Elance is another great freelancing website to sign up for. Here you will find an endless array of Transcription jobs and the best part is that you will not have to wait long before working. The best advice that I can give you here is to make sure that you work on your profile and update your portfolio regularly. Clients do not want to see work samples from 2 years ago. They want to see current and recent work. As long as you update your portfolio consistently, take your skills test and have a great bio, you will be able to find a job in no time. If you are unsure of what Fiverr.com is, I will break it down for you. Fiverr is essentially an online marketplace that offers a variety of services starting at the cost of $5, hence where its name comes from. This website is primarily used by freelancers and online shoppers alike and it is one of the best places to begin your online Transcription career. It is also a great place to begin building your own Transcription business. To get started at Fiverr.com, simply follow these steps. Sign up for an account-this is free to do and only takes a couple of seconds for you to complete. You can use your account if you want to become what is known as a “seller” or as a buyer for future gigs. Set up your own “gig”-this is the place where you will be doing most of your work. When you set up your own “gig” you need to ask yourself, “what am I willing to do for just $5?” Once you come up with that create your gig. If you have a computer that can do this also create a video to go with your “gig.” In the video include what your gig is all about and really try to impress your future buyers. Begin promoting your gig-it can take a while for you to get noticed on Fiverr and that is why I highly recommend promoting your gig yourself. You can do this by sharing your gig on social media platforms, forums and blogs. Just try to get the word out and before you know it people will be flocking to you for work. While I like Fiverr.com, this is one platform that I want to caution you about. It is a great place to begin working online, but it is one that will not earn you a stable income for some time. It can take anywhere from 3-4 months before you start earning stable income. I recommend starting your own gig on the side and focusing on securing jobs now through multiple freelancing websites. There are many opportunities out there to make a good living online just by doing online transcription. The possibilities are virtually endless and with the right attitude and determination, I have no doubt in my mind that you can make a stable career out of it and make real money online free. ← Home Job Stop Review: Can It Help You To Find A Job?